"In a clean spot, having established a firm seat of his own, neither too high nor too low, made of a cloth, a skin and Kusa-grass, one over the other. “There, having made the mind one-pointed, with the actions of the mind and the senses controlled, let him, seated on the seat, practice Yoga for the purification of the self. " "Let him firmly hold his body, head and neck erect and still, gazing at the tip of his nose, without looking around. Thy right is to work only, but never with its fruits; let not the fruits of action be thy motive, nor let thy attachment be to inaction. Perform action, O Arjuna, being steadfast in Yoga, abandoning attachment and balanced in success and failure. Evenness of mind is called Yoga. Shutting out (all) external contacts and fixing the gaze between the eyebrows, equalising the outgoing and incoming breaths moving within the nostrils, With the senses, the mind and the intellect (ever) controlled, having liberation as his supreme goal, free from desire, fear and anger - the sage is verily liberated f...or ever. He who knows Me as the enjoyer of sacrifices and austerities, the great Lord of all the worlds and the friend of all beings, attains to peace. Fix thy mind on Me, be devoted to Me, sacrifice to Me, bow down to Me. Thou shalt come even to Me; truly do I promise unto thee, (for) thou art dear to me. Abandoning all duties, take refuge in Me alone: I will liberate thee from all sins; grieve not. 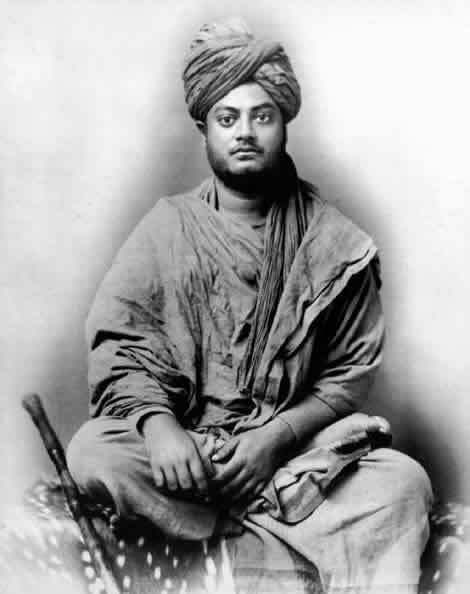 Lately I have been reading "Vivekananda - A Biography" by Swami Nikhilananda. It's a really good book, and if you are interested in knowing about the great yogi and sannyasin Swami Vivekananda and how he did a lot to bring eastern thinking and vedanta to America, this is the book for you.